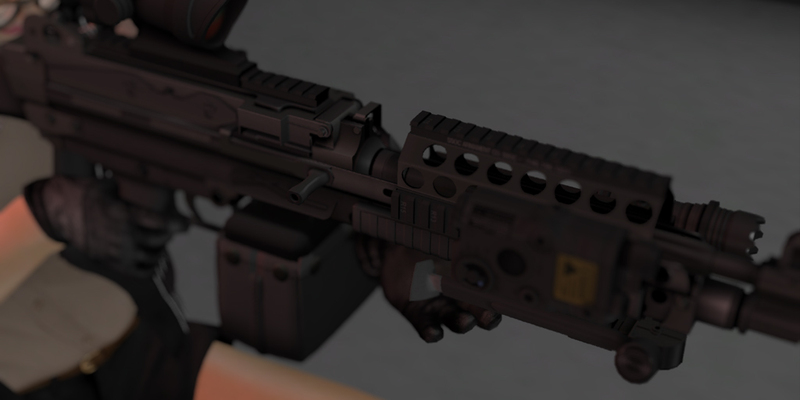 Posted in Colt, LMG, M249, M4A1, Magpul, Military, MINIMI, Mk.46, MK.48, MOD 0, New Release, SAW, SecondLife, Sniper, SOPMOD, SR-16, SR-25, Update on 07/11/2013 by SAC. 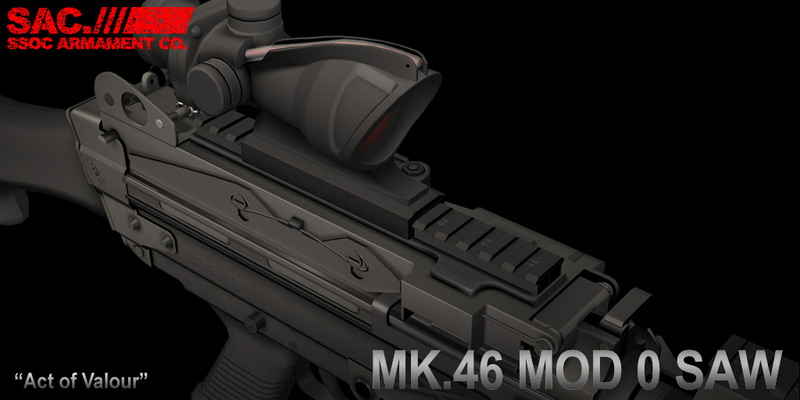 you can attach many options and change textures with 5 colors. 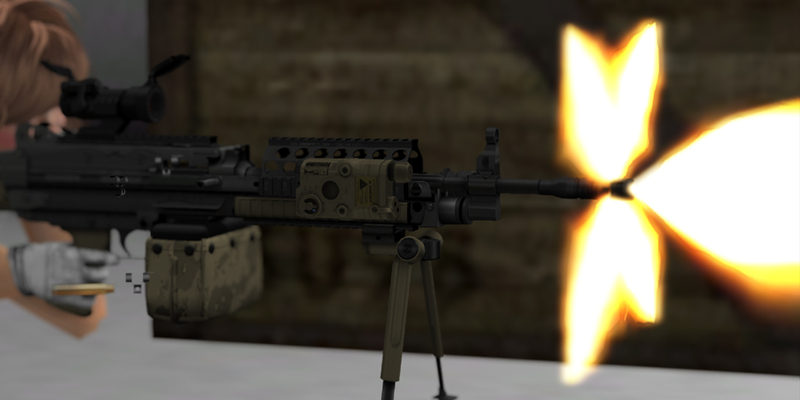 you can provide voluminious fire at range in both the direct contact and suppression fire roles. 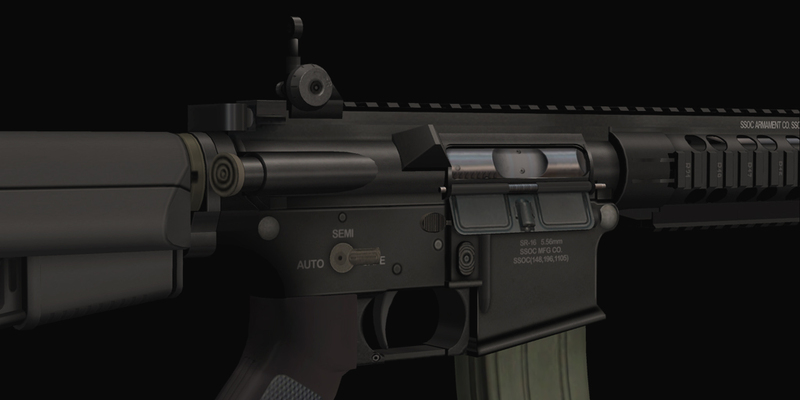 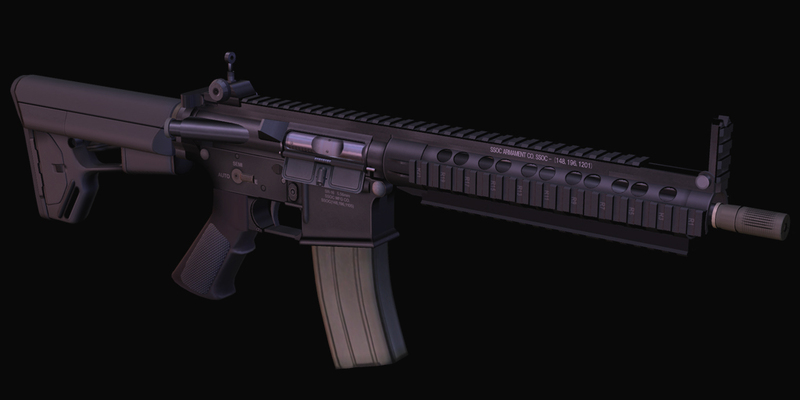 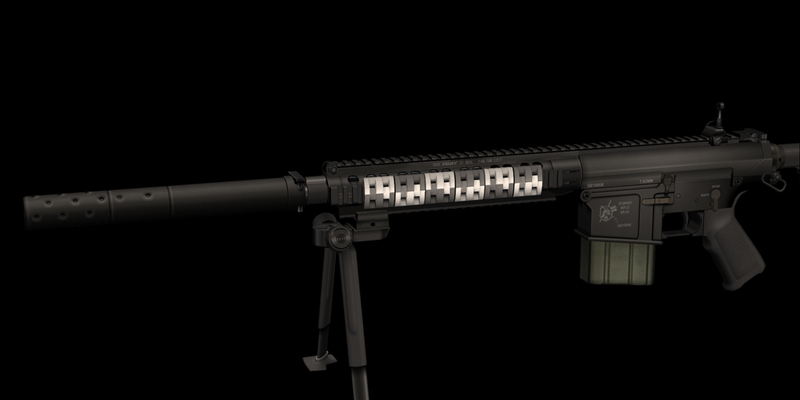 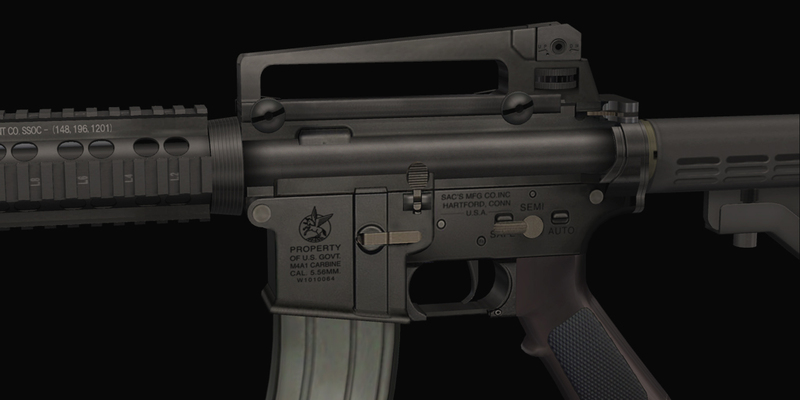 SAC M4A1 SOPMOD(Block 1) will be updated(v1.3) soon! 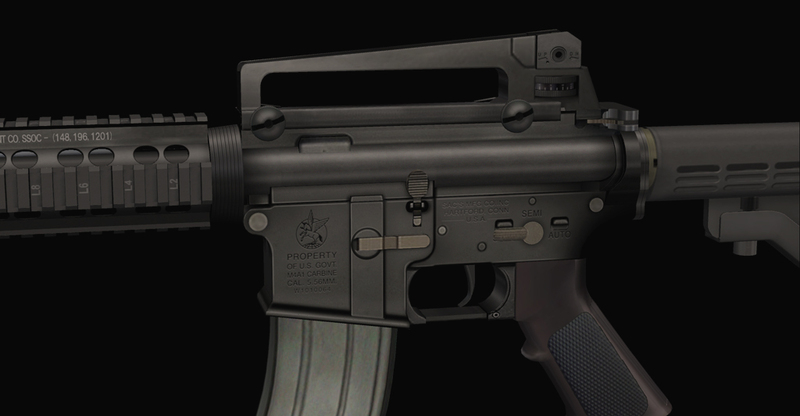 new 3rd generation of lower receiver, especially improved mag-house’s shape. 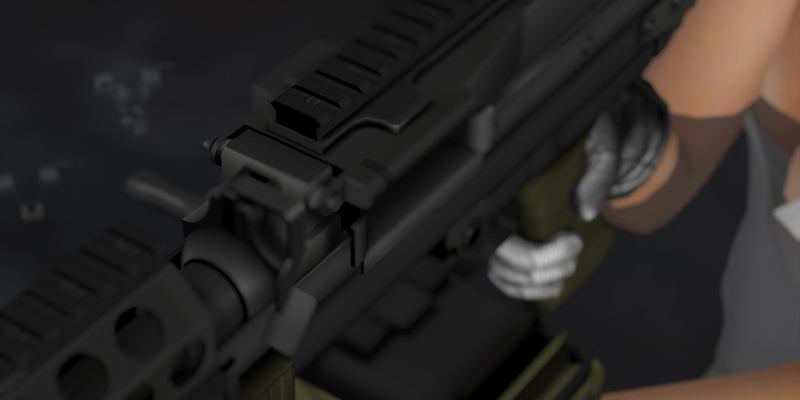 SAC Mk.46 MOD 0 SAW MCE Edition will be released very soon!! 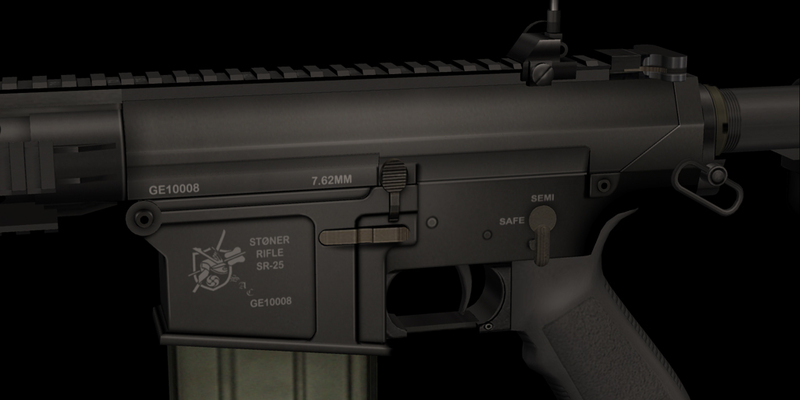 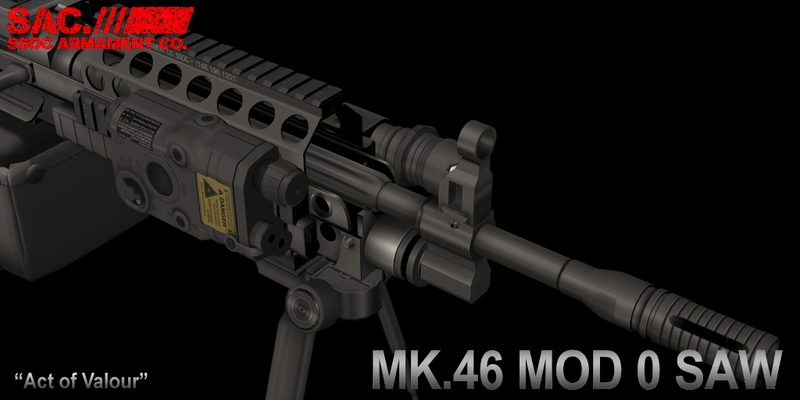 Posted in LMG, M249, Magpul, Military, MINIMI, Mk.46, MK.48, MOD 0, New Release, Nk.48, SAW, SecondLife on 06/28/2013 by SAC. 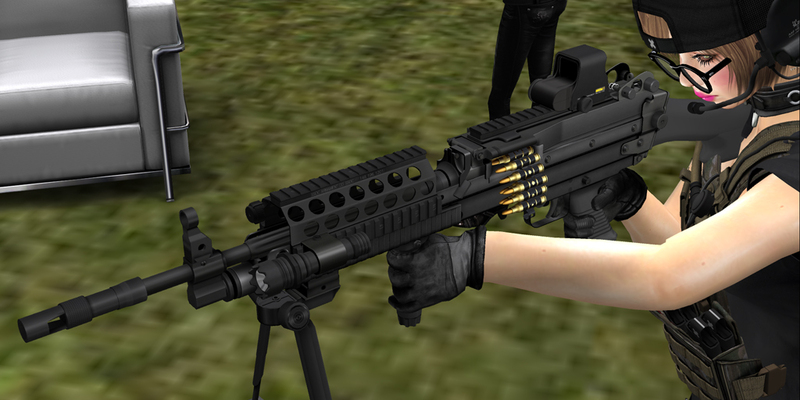 but notice reloading time is 7.5secs, and while walking or stopped. 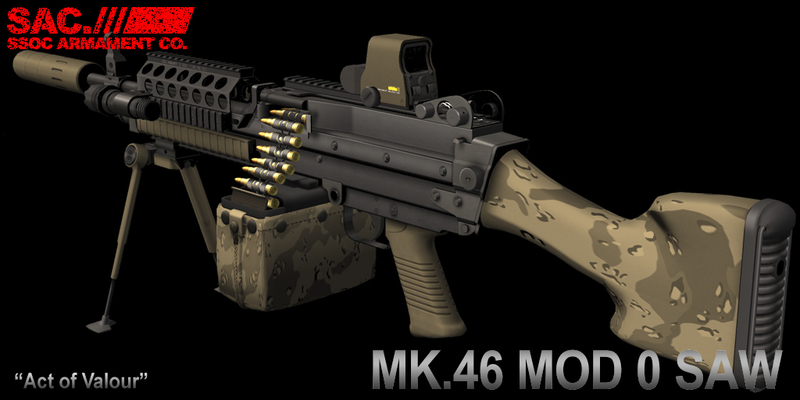 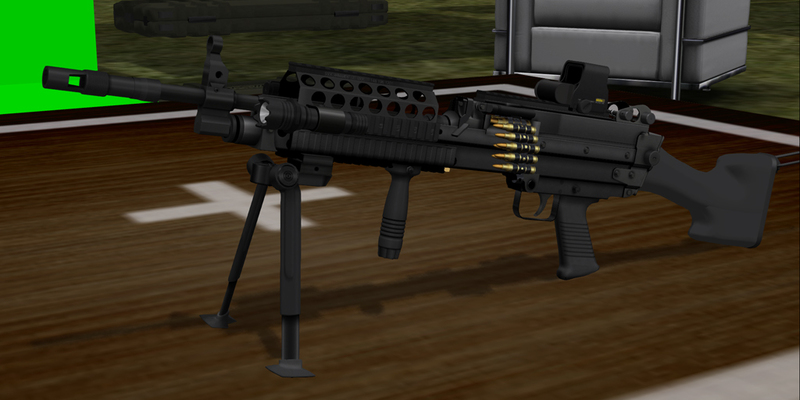 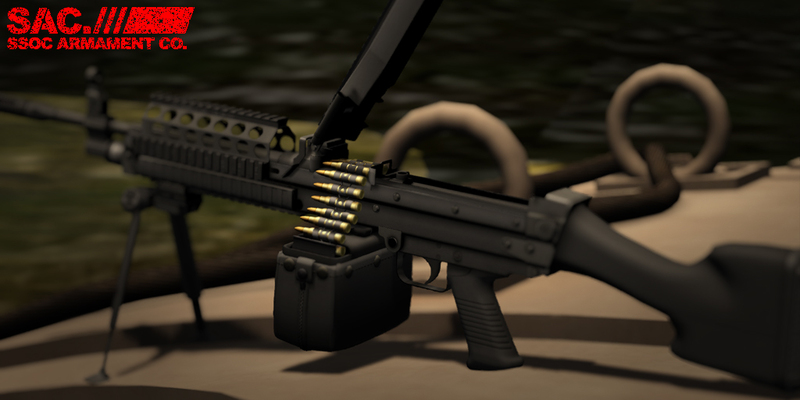 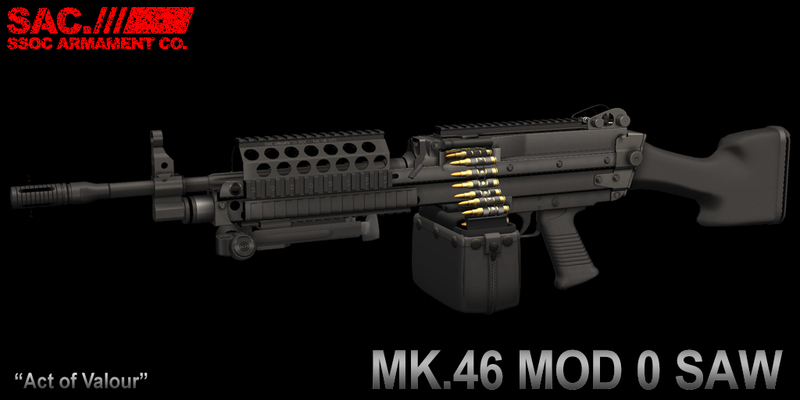 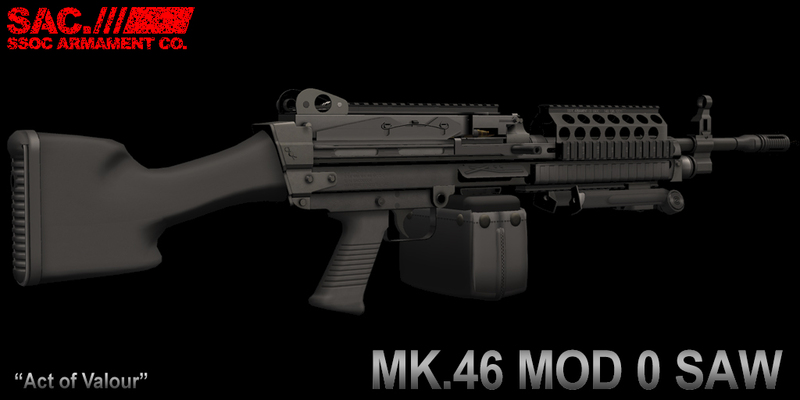 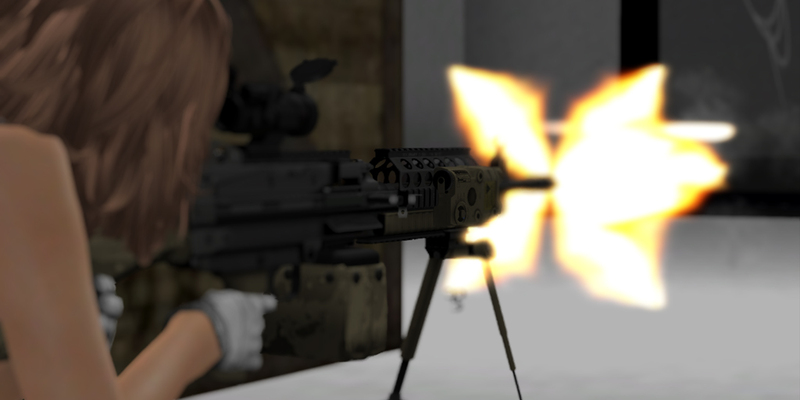 Posted in LMG, M249, Military, MINIMI, Mk.46, MOD 0, New Release, Nk.48, SAW, SecondLife on 04/15/2013 by SAC. 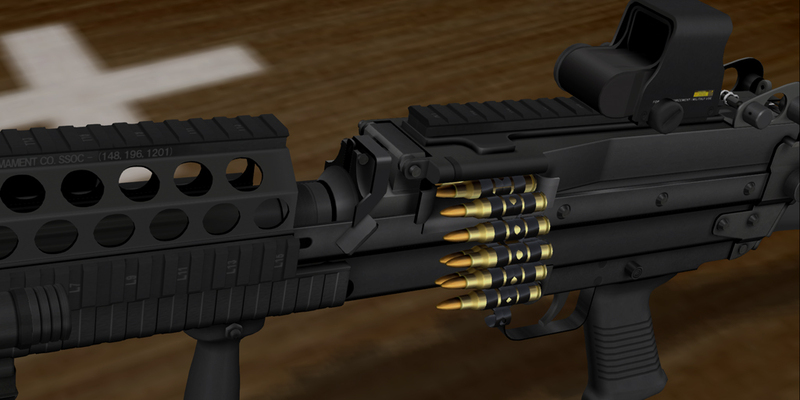 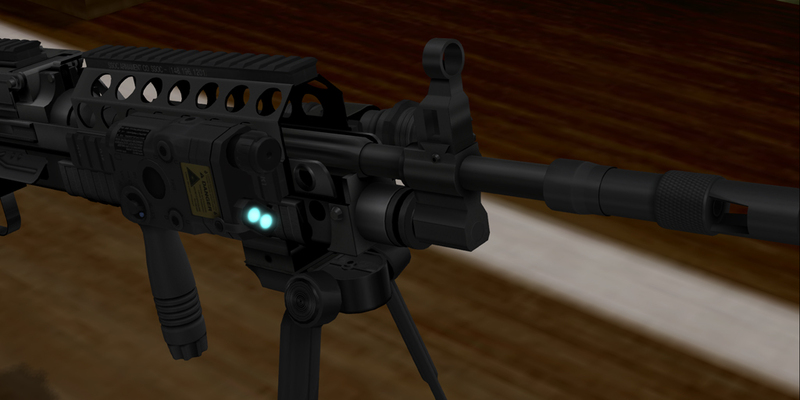 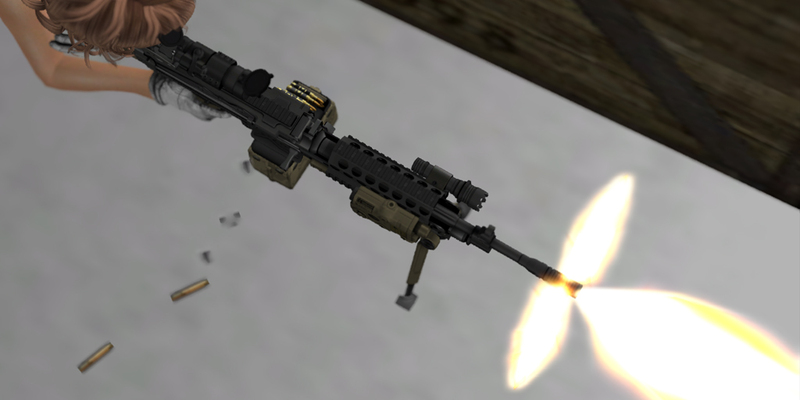 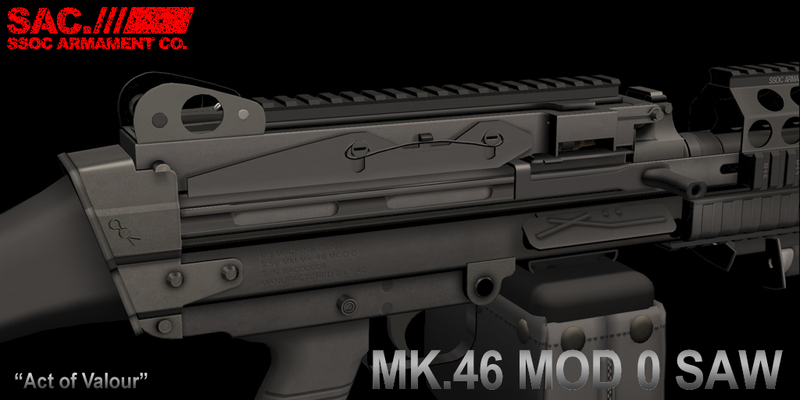 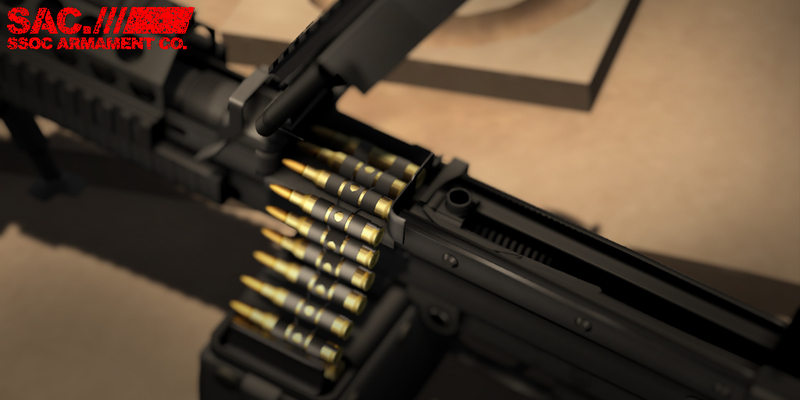 We’re building our first SAW(Squad Automatic Weapon) Mk.46 MOD 0.
take a sneak peek of some photos~!